Welcome to Charas Game club; a month long game jam. From Friday the 13th of June to Sunday the 6th of July we'll be jamming up games. You won't have to spend the whole month jamming if you don't feel like it or don't have time. Take a week, weekend, day, hour or minute. There won't be any limit to the number of games you can submit; make a deep rich rpg maker game or a series of small high score based mini-games, it's all up to you. Once the month is up I figured we could take all the finished games and create Charas Game Bundle (#1). We'll take a screenshots write a sentence or two about each games and post them with download link as a news post on the main site. (Haven't checked this with mods/admins but hope it won't be a problem). Feel free to use whatever you like to make your game. It's okay to reuse code, graphics and other resources you made in the past (and other peoples resources as long as you have their permission). Heck, if you got an old unfinished game lying around feel free to dust it off and finish it now. As any good jam we will be having a theme. Following the theme won't be strictly enforced feel free to do your awesome game idea or finish up that old game project without having to cram in the theme. It's there for inspiration and sparking ideas. So lets have some fun and make some games! Also feel free to post screenshots, progress reports etc. in this thread as the jam goes on to keep it interesting. Sounds good! Sign me up. I still got that Infection RI game I was working on using AS3, I'll re-develop it in Unity using the 2D options to both make a game and learn how to work in it! Count me in, gonna dust of gamemaker or something. Still not the best pal with VX yet. I just started learning how to use Unity, so if I can use that, I'm totally down. Man Unity is great for stuff like this, do it. I'm still in the process of making my game. Once I finish I'd love to join in on this jam. Okay so the contest thingy is on. History is the theme and I failed to make gravity in gamemaker once more. I've never completed a game... I might try this time though, if I have a time limit, I might actually get around to it. Awesome seeing such a huge turnout. Today it begins, I'll get started on my project tonight. Go for it, I'll be using Unity as well. Noob question, but: what's a good source for VX ace tilesets? The Steam workshop is pretty dry. No idea, I just google what I want. EDIT: Oh, saw the 'dust off' thing : p Yeah I'll make a polished version of what I have so far with my platformer! That'll be fun! 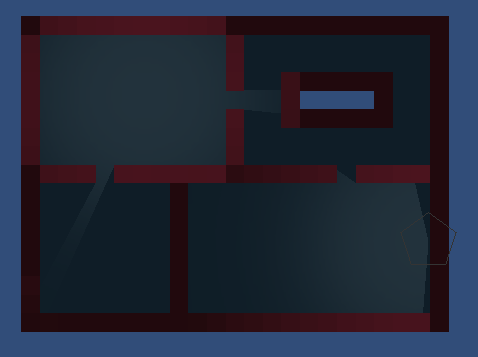 Haven't had that much time working this weekend but here got level loading from Ogmo and lights up and running. Darn it looks like I'm going to miss out. I would do one, but maaan...the Chain Game has me sapped of any game making energy other than tiny little modifications to code. @-@ Ah it's likely not work out anyway. I would have done a Charas Pre-History game XD And had it based on my own ideas. Ah well.